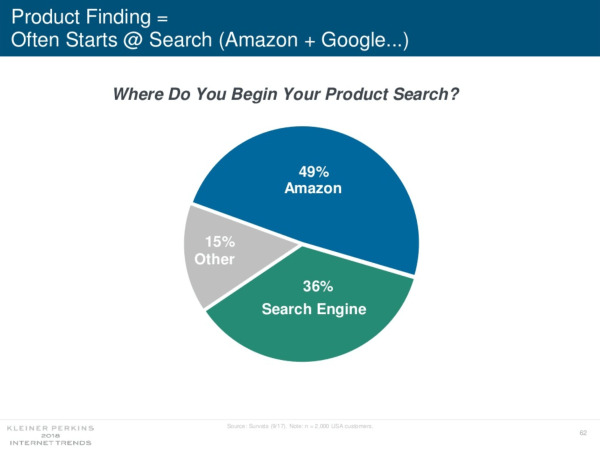 Google is becoming more like Amazon, and Amazon is becoming more like Google. That was one of the many takeaways from Mary Meeker's always-anticipated yearly "Internet Trends" report, presented on Wednesday at Recode's Code Conference. 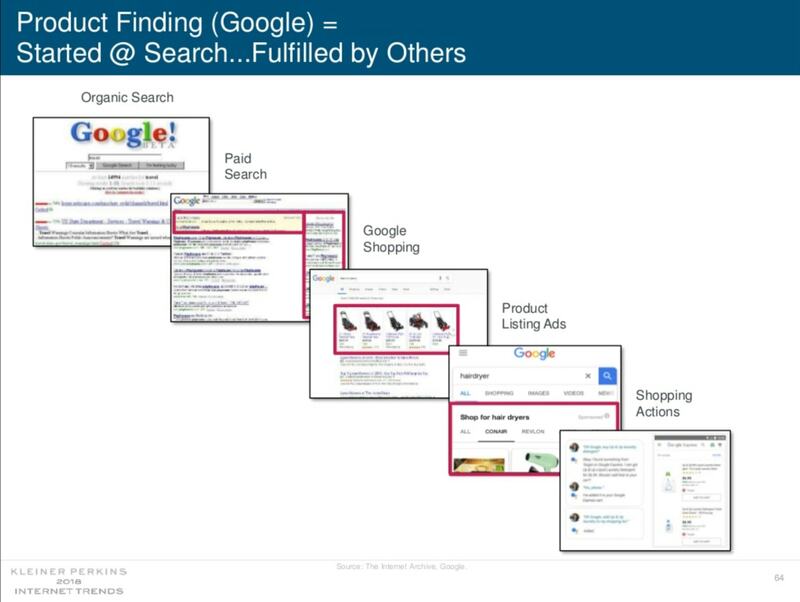 Meeker, a partner at venture capital firm Kleiner Perkins, walked the crowd through the 294-page presentation that touched on a wide variety of topics including major tech trends, tech in China, consumer concern about tech, and much more. You can find the whole presentation here. 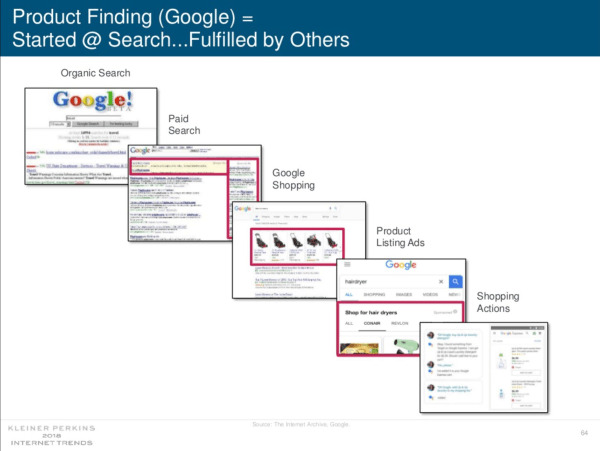 During a portion on ecommerce, Meeker noted that Google started out offering search ads, then letting other companies fulfill orders. 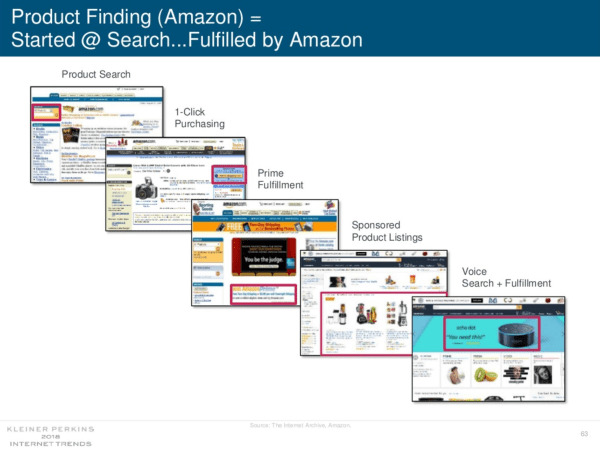 Amazon started off fulfilling orders, but not doing much around advertising. That's changing. She noted both companies are edging into each others' businesses. That has major ramifications for the advertising industry, which has had a major chunk taken out of it by tech companies. 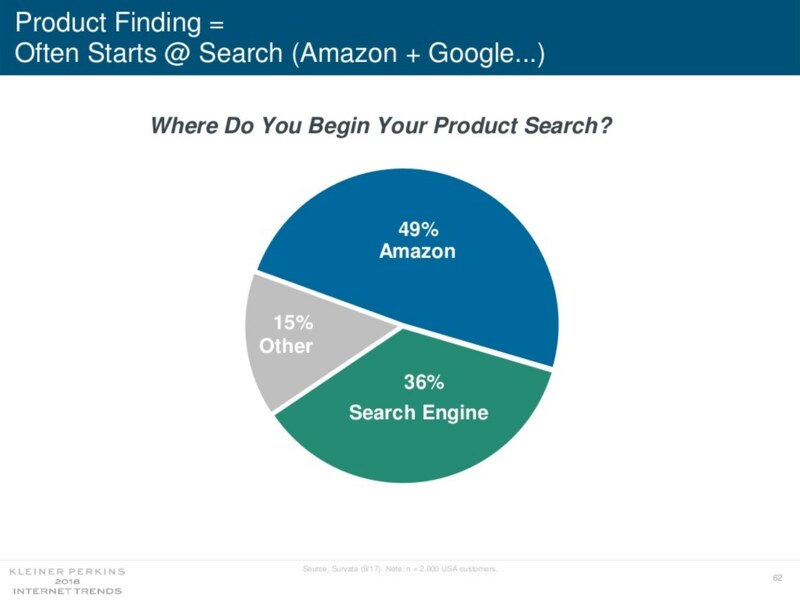 The slides below illustrate the companies' changes over time, along with how most people begin their product searches on Amazon. Amazon already has a sizable ad operation with estimates that it was already doing more than $2 billion-per-quarter in ad sales. But it's not about to stop there. "Amazon’s long term play in the advertising space will be selling ads on and off of its owned properties — and expanding beyond the [consumer packaged goods] industry," wrote Forrester analyst Collin Colburn. Looks like Meeker would agree.